Plans for the new Alderwood Elementary School, the need for a county-owned gun range and recognizing a Sikh awareness month were the main points of interest at the Whatcom County Council meeting on Mar. 26, 2019. The public meeting was called to order at 7:00 pm. Council members Barbara Brenner, Rud Browne, Barry Buchanan, Tyler Byrd, Carol Frazey and Satpal Sidhu were present. Council member Todd Donovan was absent. A. Approve the minutes of the Regular County Council for January 29, 2019 (Amended). B. Approve the minutes of the Special Committee of the Whole for March 12, 2019. C. Approve the minutes of the County Council for March 12, 2019. The first public hearing was over an Ordinance amending Whatcom County Code 6.04 Animal Control, Chapter 6.04.020 Definitions and 6.04.031 Administration and Enforcement. No one spoke to this issue. Passed 6-0 with 1 excused. The second public hearing was over a Resolution and Public Hearing regarding support for a Community Development Block Grant funding application. Shari Emerson, Associate Director at the Opportunity Council, said this public services grant will support basic services for very low income families in Whatcom, Island, and San Juan Counties. In Whatcom County it will provide services at the East Whatcom Regional Resource Center in Kendall. She thanked the council for taking the lead on this issue. The third public hearing was over a Resolution requesting Council authorization of the release of covenants on the property known as the Playground Tract, Bennett Hill supplemental. 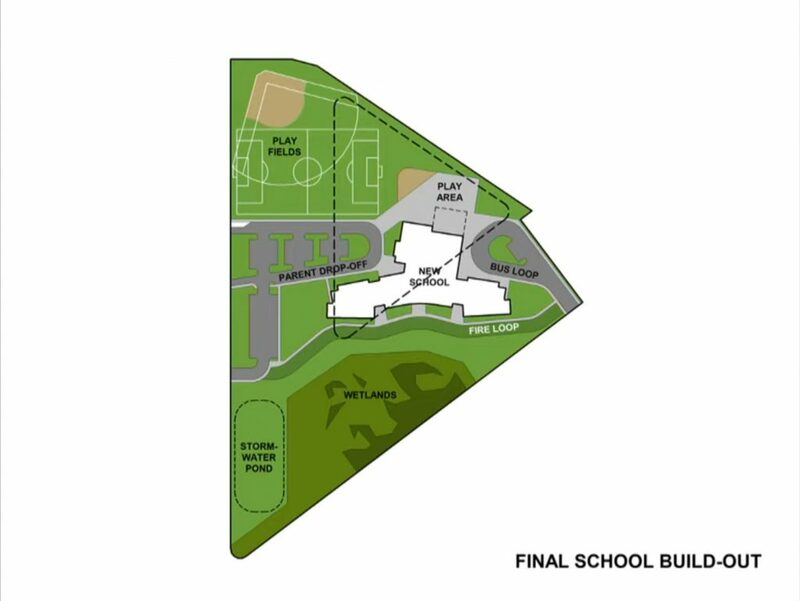 Browne then moved to accept the upgrade of the school’s playground equipment as sufficient consideration for releasing the easement. Dana Briggs spoke about recent climate change protests by students of Whatcom Middle School and Bellingham High School. He asked that all governments work to stop the fossil fuel industry, and said the oil refineries in the County should be shut down. Bob Burr, member of the Extinction Rebellion, handed out a copy of a resolution from the Berkley City Council about taking action on climate change. County citizen Patrick Alesse thanked the people who work in Adult Protective Services and other public institutions. 1. Request authorization for the County Executive to enter into an agreement between Whatcom County and Whatcom Counseling and Psychiatric Clinic, Inc. and T-Mobile West LLC for Third Amendment to Site Easement with Options. This item was withdrawn. 2. Request authorization for the County Executive to enter into a contract between Whatcom County and Reisner Distributors, Inc., to provide card lock fuel services for Whatcom County fleet vehicles at Pacific Pride fueling stations in the amount of $400,000. 3. Request authorization for the County Executive to enter into a contract between Whatcom County and Mt. Constitution Sites, Inc, to provide for the Mt. Constitution radio tower lease, in the amount of $17,655.05. 4. Request authorization for the County Executive to enter into a contract between Whatcom County and Washington State Department of Transportation to obligate federal construction funds for the Guardrail Safety Program, in the amount of $805,000. 5. Request authorization for the County Executive to enter into a contract between Whatcom County and Public Safety Testing, Inc. to conduct background investigations on candidates for employment with the Sheriff’s Office, in the amount of $42,000. 6. Request authorization for the County Executive to enter into a contract between Whatcom County and The Watershed Company to assist in the periodic review of the Shoreline Master Program in the amount of $100,000. Item 1: An Ordinance Increasing Sheriff’s Office Petty Cash Fund. Item 2: An ordinance amending the 2019 Whatcom County Budget, request no. 4, in the amount of $2,260,652. Councilmember Brenner moved to amend to remove budget item 5, appropriating $85,000 to fund solid waste facilities improvements, and hold it for two weeks to get more information. After some discussion that motion to amend failed with a vote of 3-3, with Buchanan, Brenner, and Byrd voting yes, and Sidhu, Browne, and Frazey voting no, with Donovan excused. Councilmember Frazey moved to amend to remove item 2701, funding for repairs to the Plantation Rifle Range. She said only one other county in Washington owns a gun range. Parks Dept. Director Mike McFarlane said Plantation has an outdoor shooting range of 300 yards but this budget request is for repairing an indoor range. Councilmember Byrd says the Sheriff’s Office uses the Custer Gun Club for training, and just because they funded Plantation before doesn’t mean they have to continue doing it. The motion to amend passed 6-0 with 1 excused. The council then adopted the amended ordinance on a vote of 4-2, with Browne, Buchanan, Frazey, and Sidhu voting yes, Brenner and Byrd voting no, and Donovan excused. Item 3: Ordinance to Repeal Ordinance 2019-017. Item 4: A Resolution celebrating April as a month of Sikh awareness and appreciation in Whatcom County. Browne said he has great respect for all of the religious communities, but he’s not aware of any other time the council has chosen to acknowledge one religion or community over another. Sidhu moved to hold this resolution in Council for two weeks so they can submit proposed amendments to the Clerk of the Council. The motion to hold in Council passed 6-0 with 1 excused. Item 5: A Resolution in support of retaining the Alaska Marine Highway System between Bellingham and Alaska destinations. Councilmember Sidhu moved that the letter of support should be brought to the council so the council can approve it. Item 6: Request approval to change the start time of Health Board meetings to 10 a.m.
1. Ordinance granting Glenhaven Lakes Club Inc. a franchise and the right, privilege, and authority thereunder to locate, set, erect, lay, construct, extend, support, attach, connect, maintain, repair, replace, enlarge, operate and use facilities in, upon, over, under, along, across and through the franchise area to allow for the provision of water services. 2. Ordinance amending the Ferry System Petty Cash Revolving Fund from $1800.00 to $3300.00. 3. Ordinance amending the project budget for the East Whatcom Regional Resource Center Expansion project in the amount of $115,000. 4. Ordinance amending Whatcom County Code Chapter 2.128, Business and Commerce Advisory Committee, to amend membership. 5. Ordinance amending Whatcom County Code Section 1.14, correcting certain precinct boundary lines and precinct maps (second amendment). Councilmember Sidhu said the Finance Committee heard a report from the County Executive about the triage center, and that it will take $600,000 of state money to finance the operations. He also said the contract for new jails at the door will cost $26,000 per door, and that will be coming to the council for approval in a few weeks. Sidhu said the Small Business Committee heard a presentation by SBDC about how 99 percent of business in Whatcom County are small businesses and 82 percent of jobs in the county come from small businesses. Councilmember Brenner said the Public Works Committee discussed the solid waste system at Point Roberts and what ideas they would like to see considered in the future. Councilmember Byrd said the Planning and Development Committee heard a presentation from Mark Personius on the Planning Dept. and what they’re going through to optimize the code. He said they’ve heard how difficult it is to get through the permitting process, and are looking at what the bottlenecks are and how to fix them.